Ok, this isn't a true recipe post, but rather a recommendation post. I know the struggle in finding the perfect cake recipe, and a few years ago I found my favourite and go-to chocolate cake recipe (though I am still looking for THE white cake recipe, please shout me out you favourite). But since they are clearly not my original recipes, I will simply point you to them with my highest recommendations. Pardon the sloppy frosting job, this cake was about the taste not the look! My favourite chocolate cake recipe is, surprise, surprise, a Martha recipe. It is rather large and makes two generous 8 inch pans. My only modification is that I never bother with any of the pan flouring etc. Just pam those babies well, and it still slides right out! This whipped frosting is frankly my favourite casual frosting recipe, period, you can make it chocolate or vanilla either is super yummy. However this is not a typical frosting recipe, it is one of those mythical flour based recipes, but I swear this one actually turns out! It obviously is not appropriate for any kind of fancy decorating, but is just right for an informal cake. 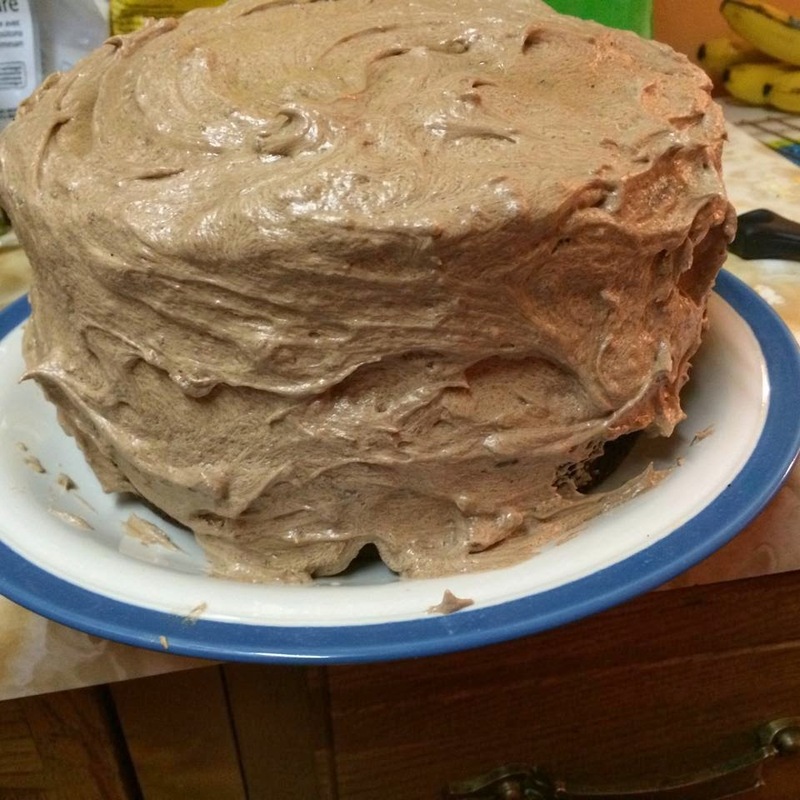 My husband always says how much he appreciates that it is less sweet than a conventional buttercream frosting.